Who is Vietnam Easy Riders Group (VERG)? VERG is a group of Motorbike Tour Operators and guides around Vietnam for the individual or group travelers who want to see the real Vietnam. Where can you find Vietnam Easy Riders Group (VERG)? However, that isn't all ! We are in all the places where you want to start an easyrider trip inVietnam: from the noisy and vibrant cities as Sai Gon, Ha Noi to the dynamic city as Da Nang or the ancient cities as Hue, Hoi An...from the coastal cities ( Nha Trang, Mui Ne..) to the mountainous areas (Sapa, Pleiku, KonTum, DaLat, BuonMeThuot...), from the fertile plains (Mekong Delta) to the countryside, we are always there to serve you ! What is Vietnam Easy Riders Group's goal? VERG’s Goal is to make you feel sad when you leave us. With the efficiency of dynamic team and very experienced manager who co-operate with each other harmoniously, and who all work for the same goals. And with a group of experienced and professional guides. Their expertise, enthusiasm, flexibility, and humor ensure that will help you to have a best time in Vietnam. Whether in anywhere in Vietnam, each of our tours is a carefully-crafted celebration of the people, traditions, and landscapes which make a place unique. You’ll experience the local culture from an insider’s point of view as you travel with our local guides. Vietnam Easy Riders Group runs range quality priced tours all year round with tours ranging from 1 day to 1 month, from the South to the North or opposite way. They could be the people who have no experience in riding a motorbike and want to be join in the tours as pillion passengers (sit behind our guide – an Easy Rider). They could also be experience riders and want to ride their motorbikes (Self-riding). 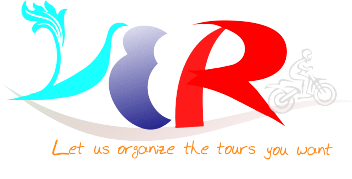 Please feel free to contact us anytime for any questions, advice and assistance for touring Vietnam. We look forward to welcoming you to an adventure off the beaten path. Vietnam Easy Riders Group manage!